Moms RUN this town — and Every Town! What inspires you? There are a lot of things that can provide inspiration – seeing other people accomplish great things, overcoming adversity, even the sheer beauty of nature can remind us how lucky we are to be alive. For me meeting people, hearing their stories as to how they tried something they knew nothing about and then went on to impact other lives. I heard about this group called Moms RUN this Town and I wanted to learn more. I reached out to Pam Burrus who is the founder of Moms RUN this town. ‘I love the sense of community with running and meeting people. As I was running more and more I realized I needed a club to run with as I felt a little insecure about my running. When I went to my first run club it was mainly men, I didn’t know much about the sport or what to wear – like compression socks – I was real nervous. So I decided to train on my own and I got up to a distance of 15k and then I had my first child. And of course I stopped running. So I decided to start running again this time with friends only I sucked in more friends. 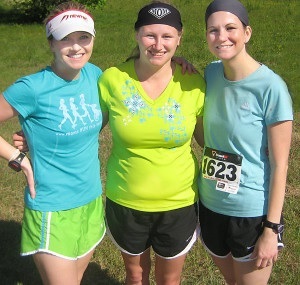 I then decided to start a running group for new moms as I began to meet more mothers that liked to run’, Pam replied. ‘So I bought the domain name and I found that a lot of women needed support. Its grown to 700 chapters nationwide and roughly 17k facebook followers’, Pam stated. ‘Recently I was told a story where this lady got off a bus on a recent trip to an event, she sa w a banner that said ‘Mom’s and she walked up and introduced herself and she thought our group was so inviting as they took the fear out of the experience for her,’ Pam responded. ‘When I got married my husband did the Peachtree Road Race and I fell in love with it as everybody was having fun and it seemed like anybody could do it. So the following year I decided to do it but I walked the whole thing. I decided to stay active and I started walking 15 miles a week. I did the 3 day 60 mile Susan Komen walk and from all this walking I got to the point where I was faster than my husband and the following year I beat him in the Peachtree Road Race’, Pam replied. ‘I started running in 2008, which was the year of my first event. 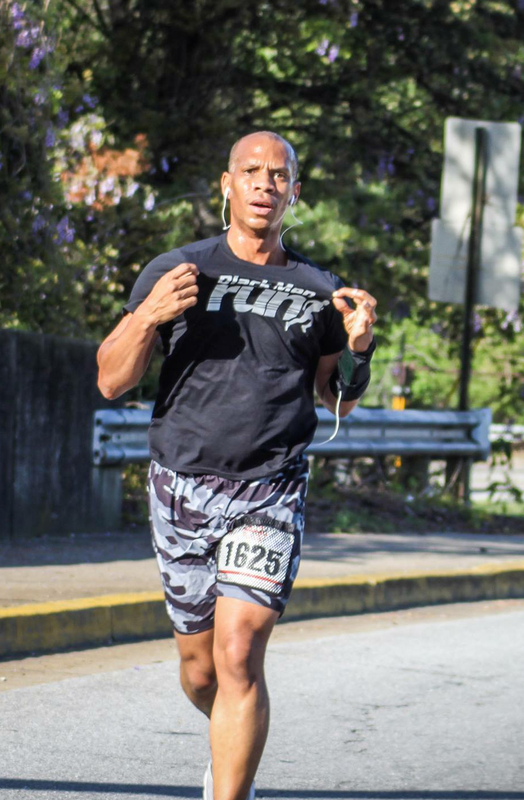 My favorite events are the Georgia Publix Marathon because it’s a hilly, miserable course but it was a mental win. The next one is the soldier marathon as the support is great’, Pam replied. Pam went on tell me about the negative side of running, ‘It became obsessive, running became my life, so I had to step back as it was stealing away family time. So my new campaign is just run for fun’, Pam replied. Thank you Pam, its amazing to see how you took something that made you nervous and built a network to share and inspire others. See you on the Trail or Road! I lost my father to a health related illness at the very young age of 55 and that inspired me to be a different person – healthy and driven. So you could imagine my excitement when I was introduced to Jason Russell who I met by way of my involvement with the Atlanta BeltLine. ‘So I started running 5 days a week. As a kid I watched my father run and I credit him for my inspiration with my health and the club. I wanted to be a fellowship for others and I wanted to create a club for men with a social outlet – so I started Black Men Run and I grew it through Social Media’, Jason replied. Thank you Jason for sharing your story and I am hopeful the remainder of 2015 is a great success for you! !